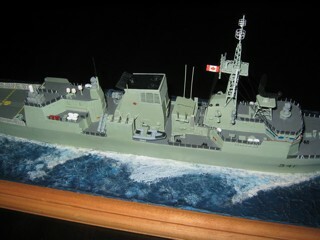 Paul Morrison is currently a Bridge Watchkeeper in the Canadian Navy posted to HMCS MONTREAL in Halifax, NS. 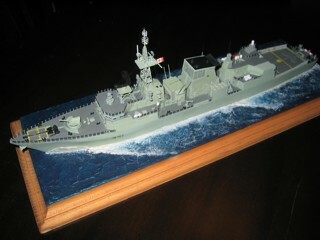 He has been modeling for approximately 3 years, and this is the 6th model ship that he has completed and the first one of resin. 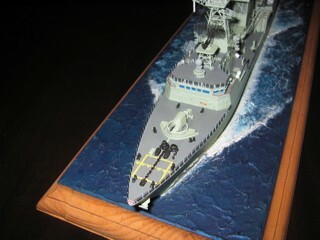 This is from the ISW HMCS Halifax kit. 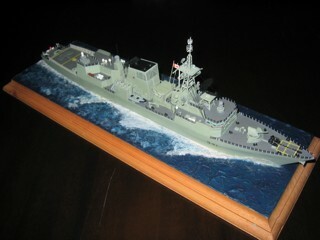 This model is going to be mailed out to Victoria in time for The real HMCS OTTAWA's return from the Gulf of Oman in 2007 for his friend who has missed both his son's first birthday and Christmas as a result of his deployment with the ship. Click on any image to see a larger photo. 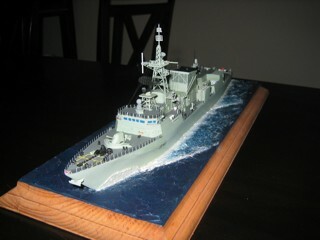 Pauls next resin venture is this diorama he built for the CO of HMCS TORONTO, who commanded these three ships, TORONTO during our NATO Deployment around Africa last year, The new VICTORIA class sub WINDSOR and the retired OBERON class sub, ONONDAGA The CPF is the ISW kit, the O-Boat is a RSY kit and the Windsor is kit bashed from WEM's T-Boat. 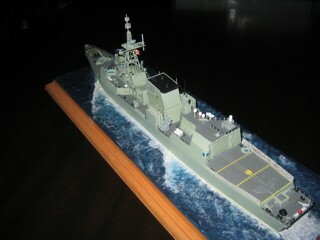 please credit this site and the modeler. Thank you.